Puritan Marketing Manager Virginia Templet and Product Specialist Elaine Seavey Maliff traveled to Nashville, Tennessee, in early 2018 to help city and state health agencies test how well Puritan swabs absorb environmental pathogens. Specifically, the exercise focused on the detection of Norovirus. Why was Puritan invited along? Because Puritan has worked with a lab at the Centers for Disease Control and Prevention (CDC) to develop a swab with the right physical properties to do a reliably consistent job of collecting enteric pathogen samples and transporting them to the lab for analysis. Today, more and more professionals in food safety and public health are utilizing this swab in efforts to detect and eliminate norovirus. The site in Nashville was a small daycare center. Under the watchful eye of Environmental Health Specialist D.J. Irving, Ginny went to work swiping for samples with specially pre-moistened foam-tipped swabs. Samples were collected from door knobs, toilet seats, changing tables, hand basins, chairs and toys. Each swipe was carefully documented to identify its collection site. The team moved on to a lab, where a lab tech extracted specimens from the swabs and prepared them for analysis. The lab tech also carefully explained every step of the sample prep process. The procedure took the lab tech most of the afternoon to complete. The tech then moved the prepared samples to the next step. At that point, DNA analysis began with the goal of identifying any pathogens collected. A few days later, results came back. The daycare center was given the all-clear. No pathogens were detected in this exercise. Caption: Puritan’s environmental sampling foam swab and collection tube was utilized during a recent exercise in Nashville, Tennessee. 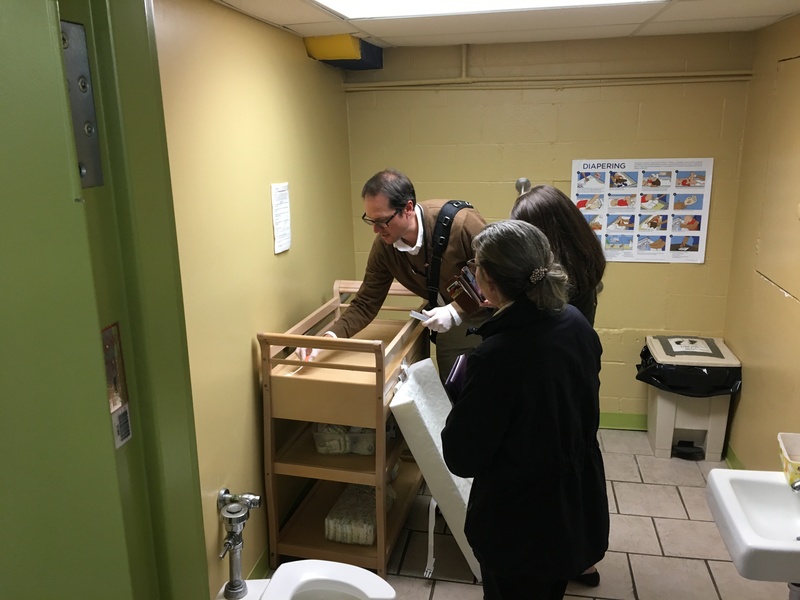 Puritan team members joined city and state health officials in testing a local childcare center for norovirus.